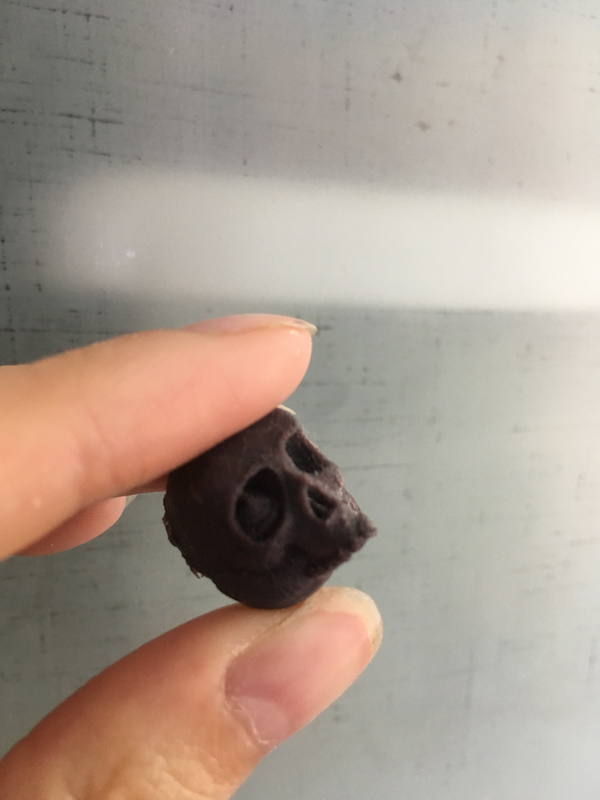 Remember that skull shell I mentioned in my last post? It actually turned out REALLY well. Honestly, I was really surprised how well these came out. 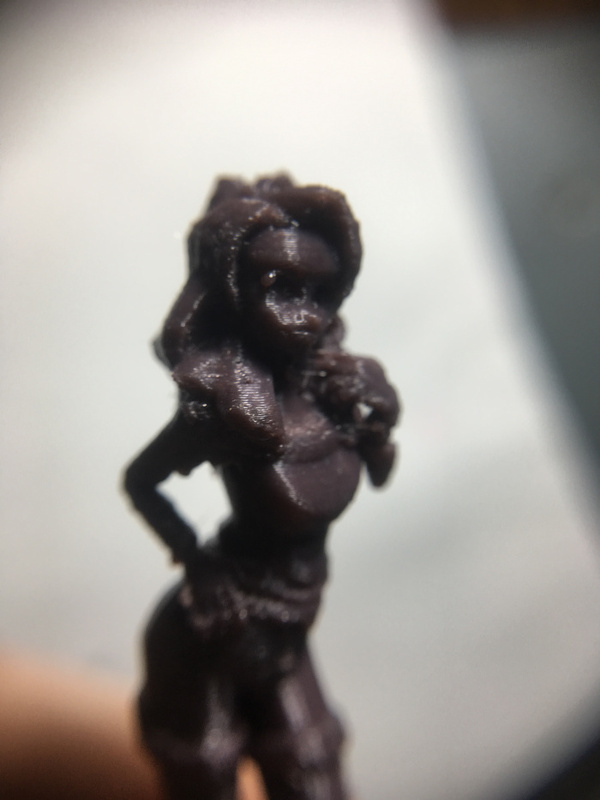 I printed the black cat model I made a while back at 1″ and 2″ high with a layer height of .1mm, and I feel like I’d be reasonably comfortable printing miniatures in the future, provided they didn’t need to use many supports (with none obviously being preferred). I say this because I ripped both of the characters off the base (along with their feet I might add) when I was taking the supports off. It may have been better to print the little base separately so the supports were just attached to the build plate, but either way, I hate dealing with supports, especially on such tiny prints. 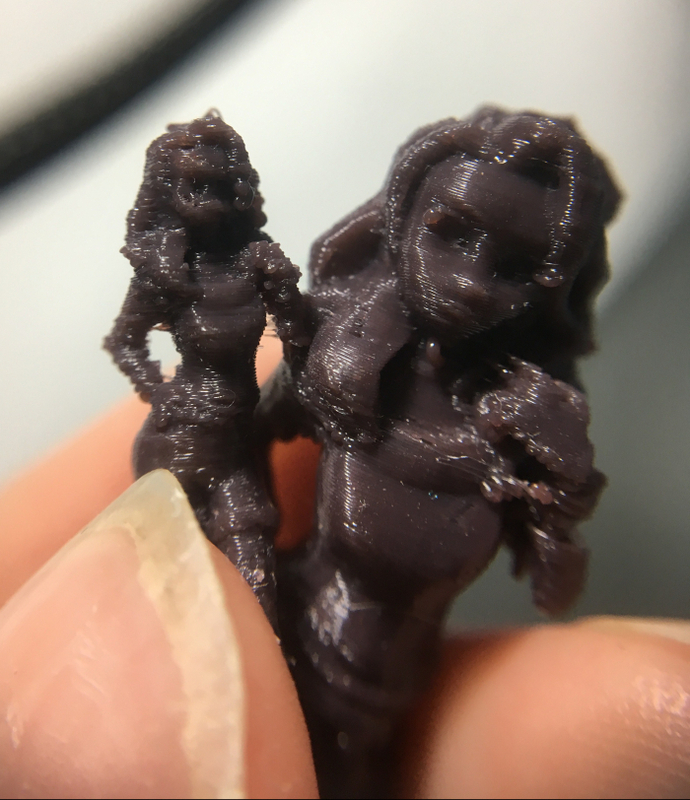 On the larger, 2″ model, there was also some weird blips where layers got left off (on the arm bending up towards her face and presumably on the legs because they broke off on the same later unlike the smaller model which broke at the thinnest part above the boots) but I really like how the hair turned out (on the parts where it printed well). Once she gives me orthographics or sketches of her character, I’m going to model and try printing a little D&D miniature for my old roommate and design it in such a way so that it doesn’t need supports. Hopefully it’ll turn out really well, but only time will tell. Today I’m just torturing my printer with weird prints that probably shouldn’t be printed on an FDM printer to see what I can do in the future.